Woohoo, December’s Beauty Box 5 Box has arrived, and it was filled with some great items this month! Let’s check out all the goodies I got shall we!! I was pretty impressed with my goodies this go around. I have never used a NYX Cosmetic before but I have heard positive things about it. They are affordable and pretty good quality. I really like the pink and brown color in the palette I received! I did really like the Body Drench lotion, I am a bit picky on my lotions. I don’t like them to be to watery or leave a build up of goo on my hands, and I found this was really nice. It was a nice creamy texture which left my skin feeling soft and smooth but didn’t leave a grease to my skin!! I would for sure consider buying this in the future! 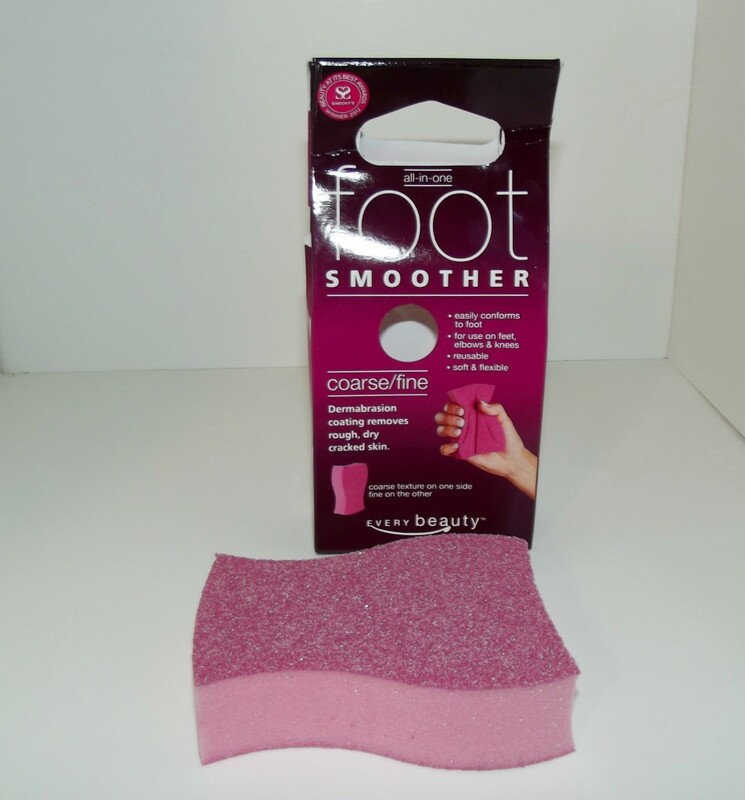 Out of all the items I got, the Every Beauty Flexible Foot Smoother was the item I was most excited about. I tend to have very dry heels, and I want them to feel nice and smooth, not like alligator skin! I did get a chance to try this out and I have to say it worked really well on my troubled areas. It wasn’t hurting my foot like some scrubbers do, and it did a great job of smoothing my feet out. Now, it says you can wash it each use, and I really like that! I went to wash it and when I went to squeeze out the extra water, I ended up ripping the sponge right down the middle. I was so upset, so if you get this it works wonderful but be gentle with it! For me I think I would purchase it for $4.99 on my own, despite it tearing. It will still work and it did a really good job at getting my feet feeling super soft! I really love all the items I received and I for sure found some new products to add into my daily routine! I love Beauty Box 5 because I get to try out products I may not have known about before or tried on my own! You can sign up to get the Beauty Box 5 Subscription as well! They have a bonus offer going on right now when you join, which is pretty awesome!! I love beauty box subscriptions! Great find. Sounds good, I need a smoother like that for my feet! Oh I want a beauty box like that! Nothing like pampering yourself right before the holidays right? I am hopeless when it comes to beauty products. I could totally use a Beauty box to help me try out new things. I will have to check this out!! The Foot Smoother would be my favorite item too. We live in flip flops almost year round in Tucson and I always have to work at keeping my heels from scaring people! I would also like the Foot Smoother the best. We live in flip flops almost year round here in Tucson and I have to work to keep my heels from scaring people!